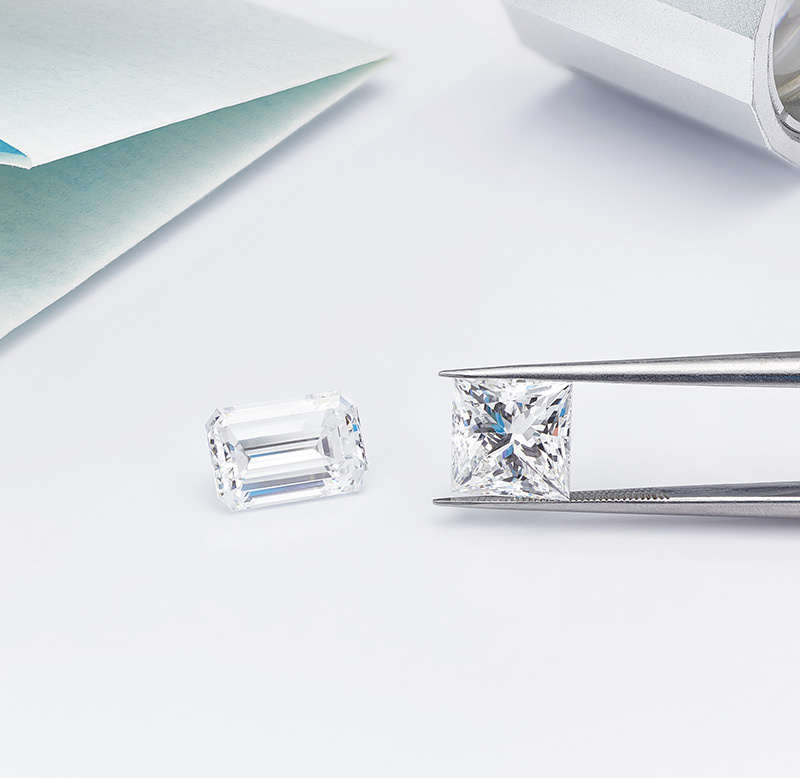 Emerald Cut Diamonds – finding the perfect setting for an Emerald cut diamond. When it comes to jewellery, the expression ‘less is more’ is often used. It’s especially true for engagement ring settings. Most engagement ring settings frame the diamond. 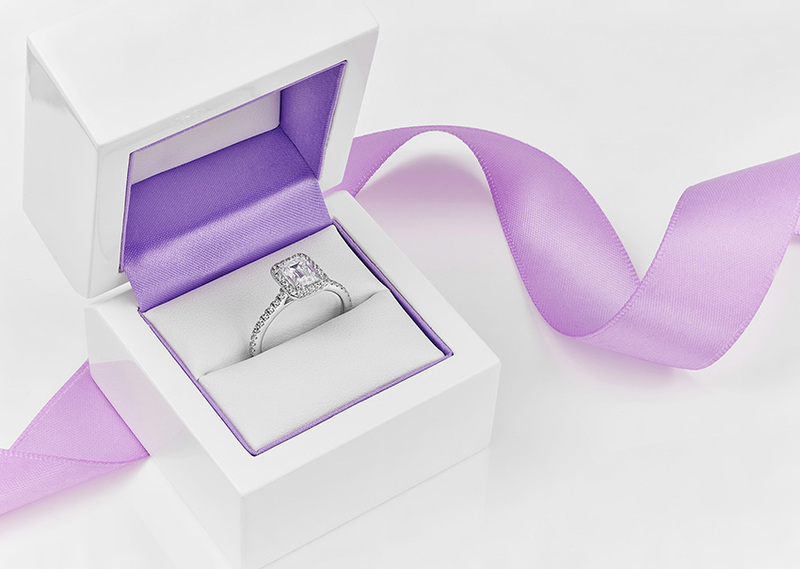 The perfect setting will surround the diamond, complimenting the shape and cut of the stone. An Emerald cut is a style of diamond cut with distinctively stepped facets. 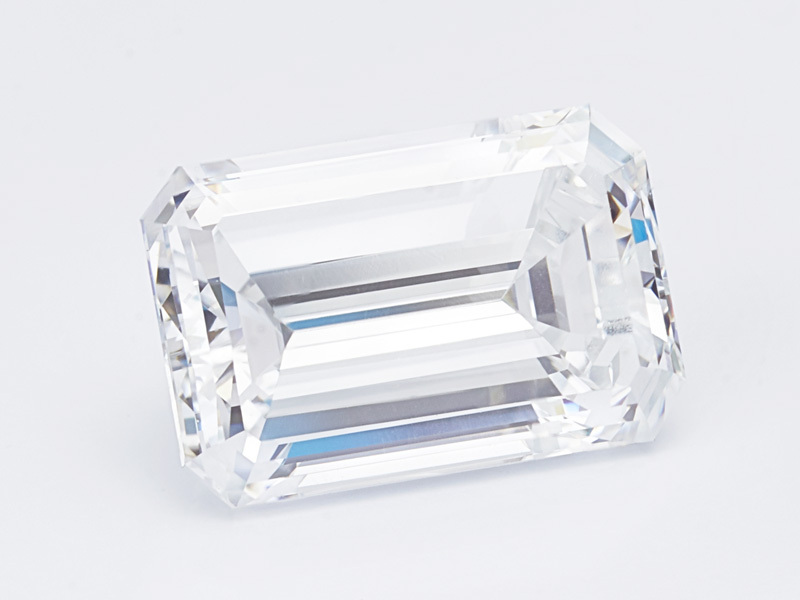 Unlike brilliant cut diamond cuts, the Emerald cut appears less ‘flashy.’ As a result, it is a more refined shape boasting greater fire than sparkle. Typically cut in a variety of rectangular proportions, the Emerald cut remains a very popular choice for an engagement ring. 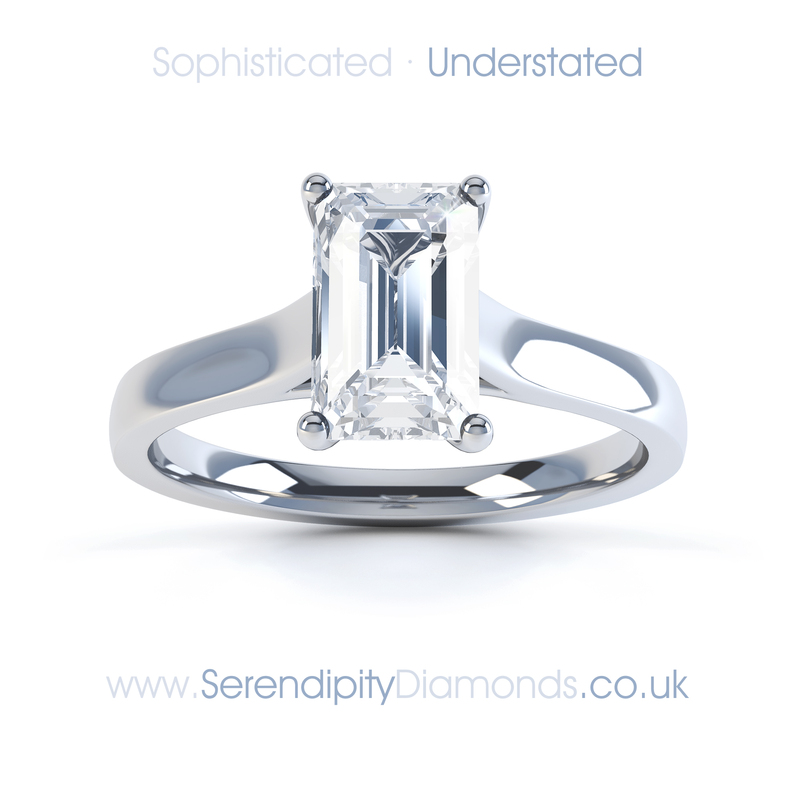 Although not as popular as the Round Brilliant-cut, or Princess cut, it ranks very highly as a popular diamond shape. The ‘Eden’ Solitaire Emerald cut engagement ring features a simple 4 claw setting. It is worth noting that any inclusions are more clearly visible within an Emerald cut diamond. For this reason, we advise a clarity grade of VS1 or above. This will ensure that your Emerald cut diamond appears clean and free from visible marks within the stone. Other diamond shapes such as the Princess cut are more forgiving of small inclusions. Showing the Emerald cut (left) and Princess cut (right) the latter being more forgiving in lower clarity grades. 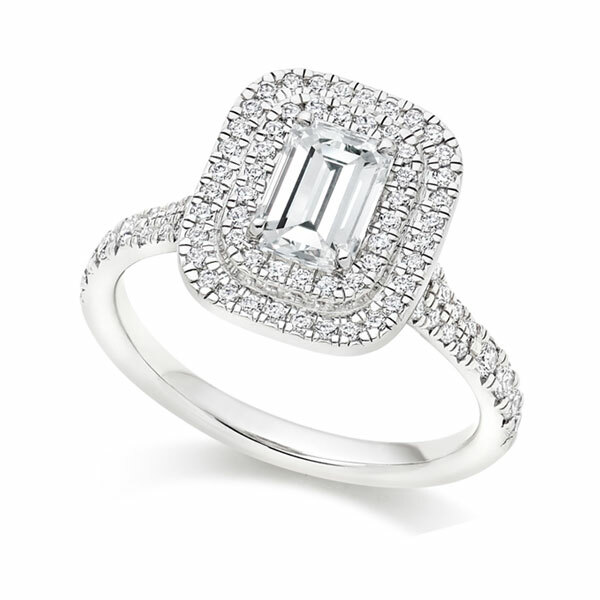 Simple Emerald cut settings appear understated and elegant. Despite the popularity of simple solitaire designs, the revival of Halo designs offer more sparkle. Typically surrounded by small brilliant cuts, they offer a fabulous way to increase the size and show of smaller Emerald cut diamonds. If you’re looking for more design inspiration, check out our full collection of Emerald cut engagement rings in the shop section of our website. 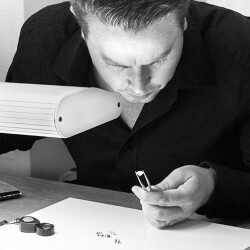 Mark attended Liverpool University and went on to pursue a career in the diamond industry. After more than a decade working in polished diamonds, Mark moved to the Isle of Wight where he launched Serendipity Diamonds. He works most days from their busy Ryde showroom, photographing jewellery and writing for the Serendipity Diamonds website. Anyone interested can connect with Mark on Linkedin via the profile link.